There are woodturners, who make nothing else, but pens. 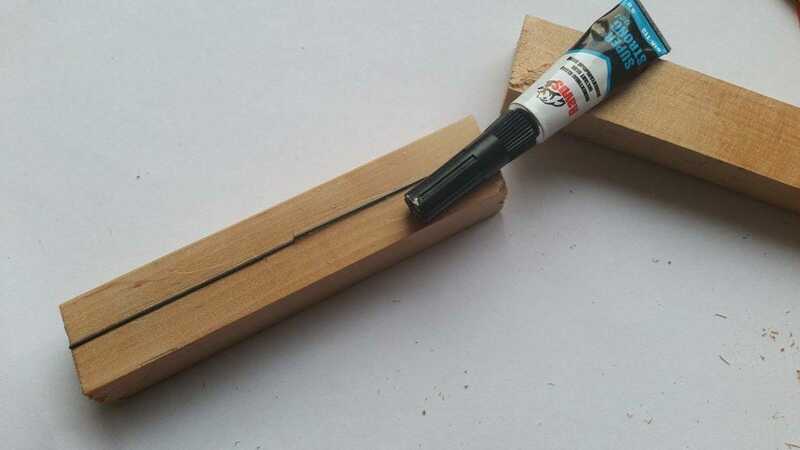 I am very new to woodworking in general – I’ve completed only a handful of projects – and I don’t want to invest into proper equipment to make pens. However, that doesn’t mean I cannot have some fun and make, let’s say, a pencil. So that is what I did and here is how. Since I knew I am just going to have some fun without some specific goals, I did not pay much attention to the materials. I went to the office supplies store and purchased a box of leads for mechanical pencils. I asked for the thickest ones they had, but it still turned out to be pretty thin. 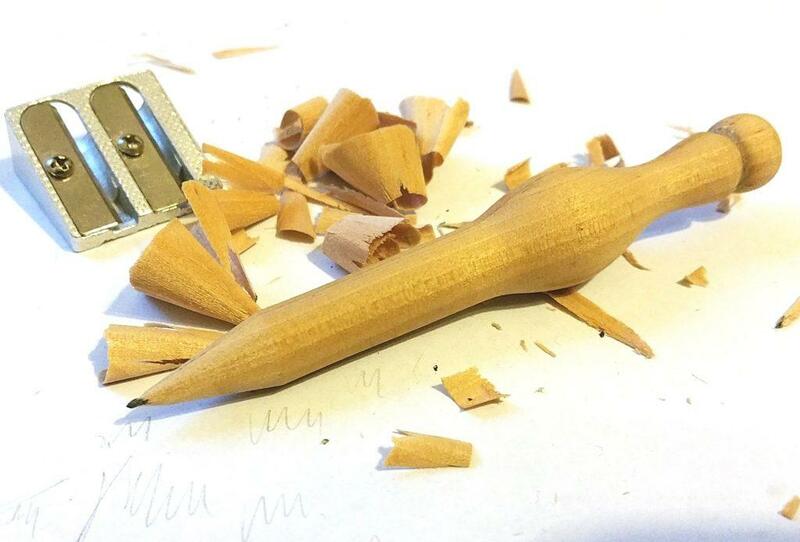 Especially having in mind I wanted to make a fat pencil. I cut a couple of pieces of black alder and sanded them on their flattest side. This gave me two flat surfaces for a good glue joint. Then I took a straight edge and made a faint line down the middle of one piece. I had to carve out a groove for the lead to sit in. My method was less than perfect. The groove as not very consistent at all, but again – I was just having some fun without any specific goals. When both grooves were completed and I made sure pieces mate well enough, I glued in the lead with CA glue. I glued in the lead using CA glue. Since lead was floating around, I immediately glued both wood pieces together as well. This gave me a nice blank for my pencil. A couple of days later I mounted it on my tiny baby lathe and started thinking about the shape I should go for. Of course, at first the blank became round. At this point I could leave it as is – it would be a very thick pencil. Making it round produced a lot of shavings. Then I started looking for a shape. I didn’t really know what I wanted, but I wanted an outside and inside curves and a small bead. At least, that is what I eventually decided. I used a single fingernail gauge for the entire project. I sanded it to 600 grit, took it off the lathe and cut of that little piece from the end. 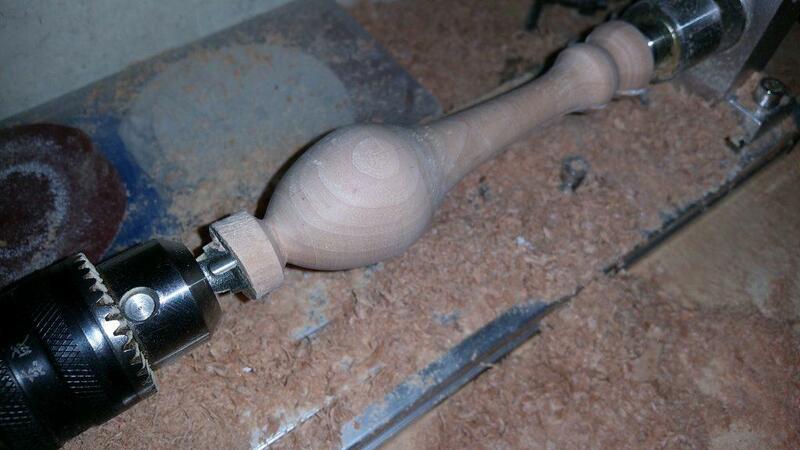 Then I was able to mount it back to the lathe and carefully sand that little bead at the end. I could have sharpened it on the lathe, but I decided not to try. It would be quite simple, but somehow my pencil ended up having its lead not in the very centre. That, of course, is a problem. So I sharpened it using just a pencil sharpener and a small chisel to bring tiny shy lead to the surface all around. I had to sharpen it with a chisel too, since the lead was not in the centre at all. This is nothing to be proud of, but it was a simple and fun project. Much simpler than that spoon I turned last time. Now, onto the next project – maybe it will be a pen this time? 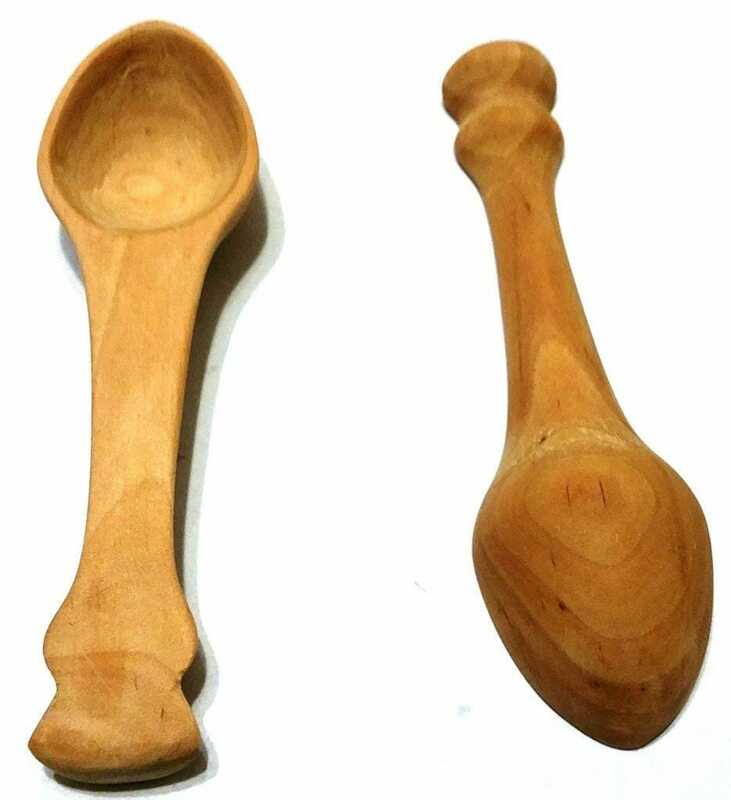 Woodworkers know that at some point you have to start making spoons. It is a good way to experiment with different techniques and tools. Some people make nothing but spoons of different shapes and sizes. However, I don‘t have skills to do anything as impressive as these people do and so I decided to make a very simple pare of spoons using nothing, but a piece of paper, some tape, a tiny lathe and a couple of chisels. This is how they were made. I know a couple of questions have to be answered at the very beginning. The lathe is called CNC007 Mini Lathe Beads Machine. There are several versions of the same thing in different Chinese online stores, snoop around and you will find something. 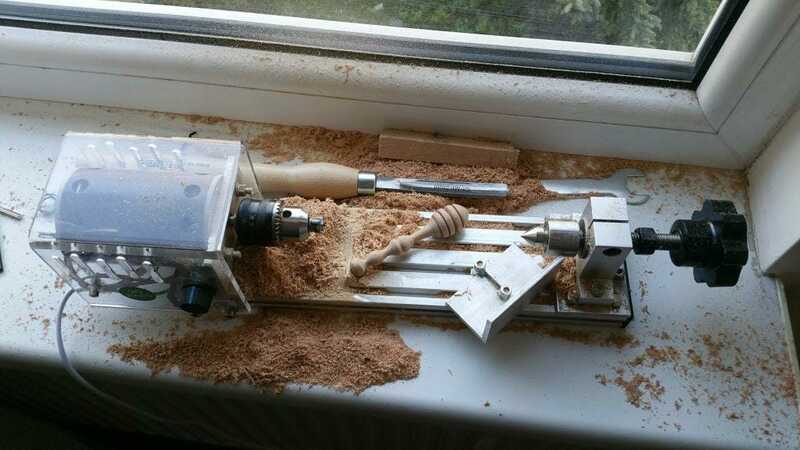 It is a good toy for people, who want to woodturn in their living room (not even joking) or move a lot, or for children, or for model making. Not a substitute for a real lathe, I know. The gauge is made by Norex, wood is black alder. 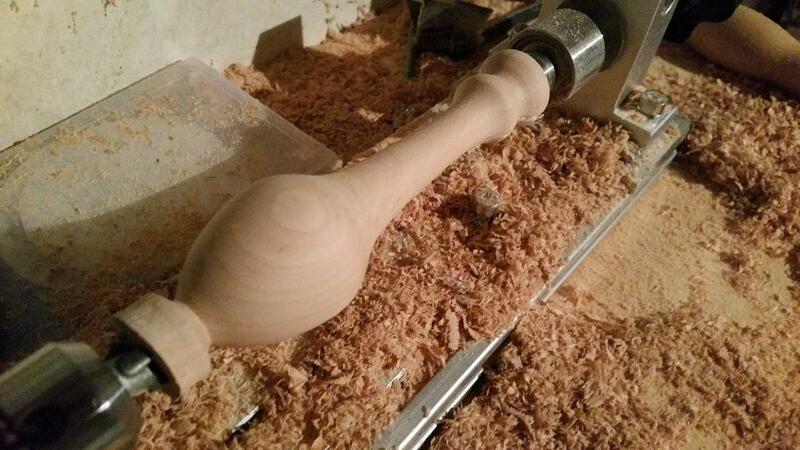 So I got this idea I can woodturn a couple of spoons my tiny lathe with some wood that I had laying around. 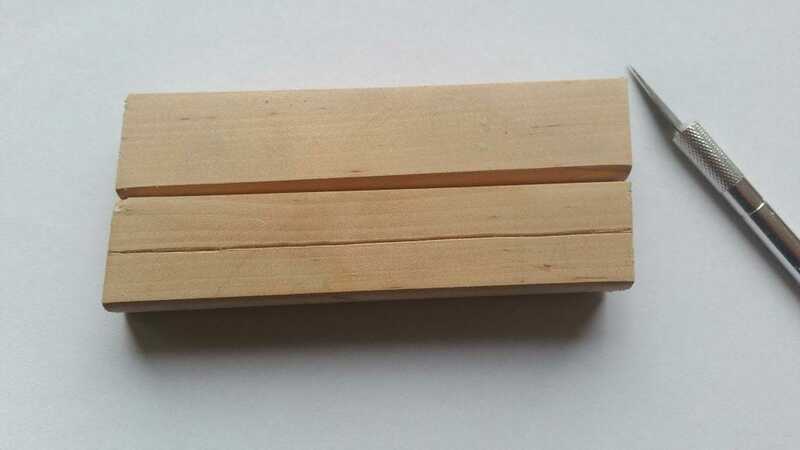 I saw somewhere online that glueing two pieces of wood together with paper in between allows for quick separation, but holds well enough while turning. So that’s what I did – I glued a couple of 14 cm long pieces of alder together with a piece of normal paper in between. 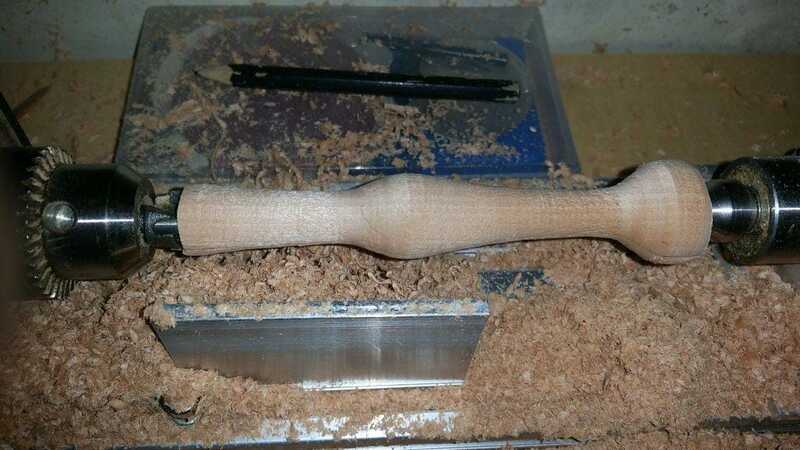 I left it to dry for a couple of days (several hours would’ve been enough) and then put the blank on the lathe. 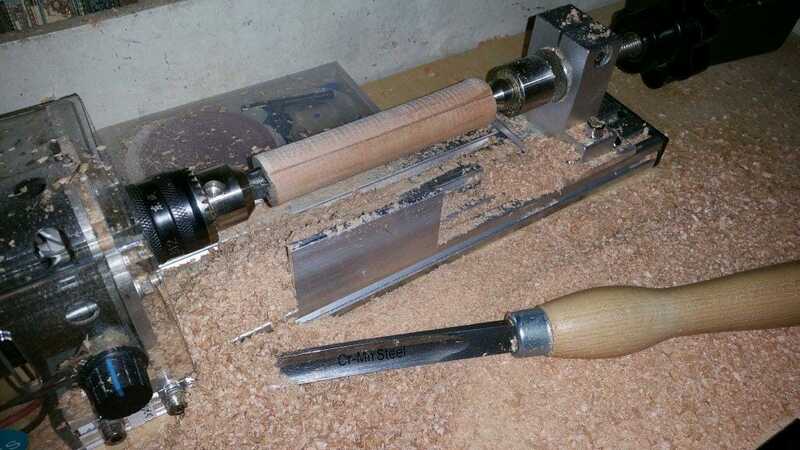 Now on a normal lathe you would likely have a proper 4-jaw chuck, which would hold a square-is blank very nicely. However, my lathe is so small I have to turn between centres. Live tailstock is also shaped like a cone. This combination got me a little worried that the piece will fall apart as both ends get wedges on a relatively weak glue-and-paper line. So I put some regular packing tape on both ends for my psychological comfort more than anything. 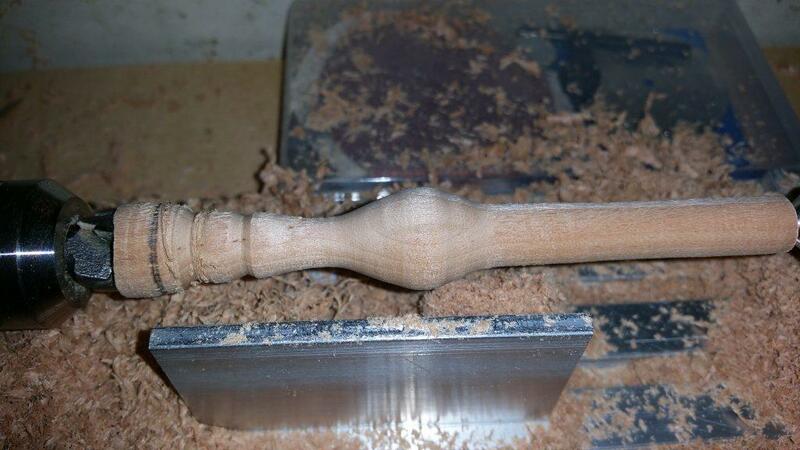 Lathe took asymmetrical piece rather well. There were some vibrations, but nothing dramatic and the tiny motor was spinning just fine. At first I rounded the centre between pieces of tape just to remove some mass. And then I got enough courage to make the entire piece round. It didn’t take too long and everything went very safely. At this point I had to start looking for the shape of my spoons. 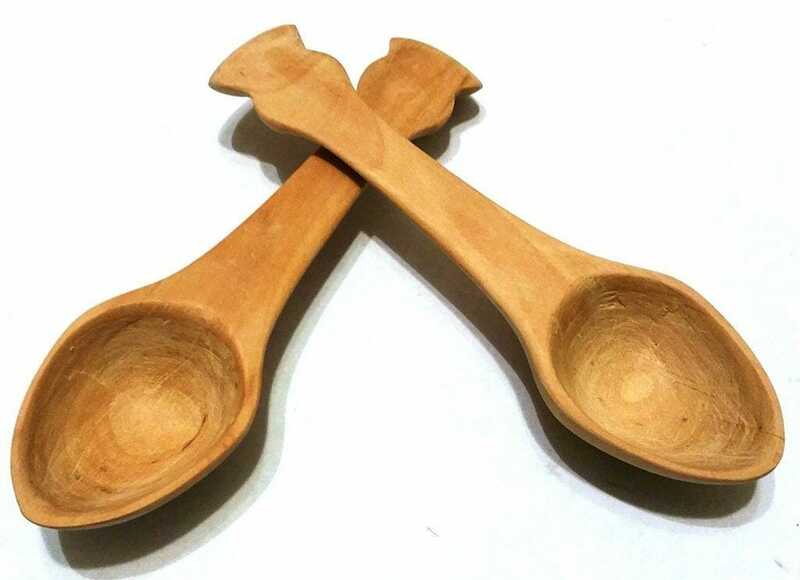 I knew from the very beginning it is going to be like turning a log to a toothpick, but that gave me a lot of room to see what I would like these spoons to be. 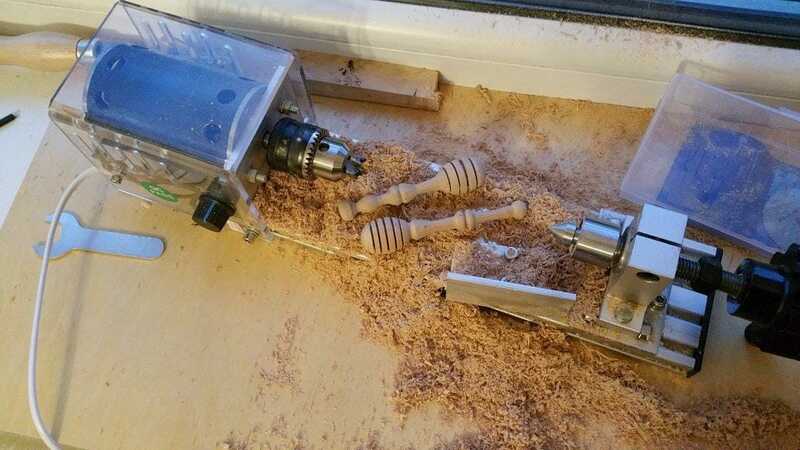 Of course, as I turned off most of the glue surface, pieces started coming apart – that was inevitable as the tailstock was wedging itself in. However, I continued turning. Since pieces were small, I wasn’t so worried that they will fly apart and hit me to the face. I decided to go with a relatively deep, almost scoop-sized bowl, sweeping handle and a couple of decorative beads at the end. 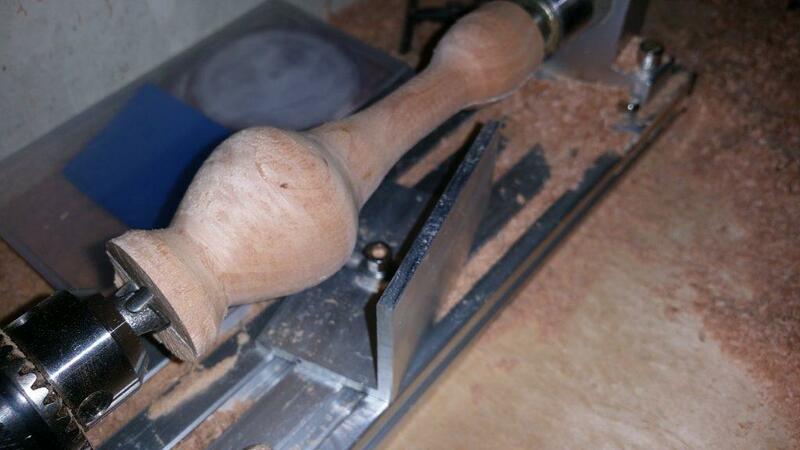 However, I did manage to finish turning and do all the sanding on the lathe. Since pieces were small, I wasn’t so worried that they will fly apart and hit me to the face. Then I pulled it off the lathe, separated the pieces, cut off that little piece left on the drive end and sanded it to shape. By the way, paper trick worked magically, but you already know that since pieces were coming apart on the lathe already. I sanded the paper off, but didn’t do anything else on that side. 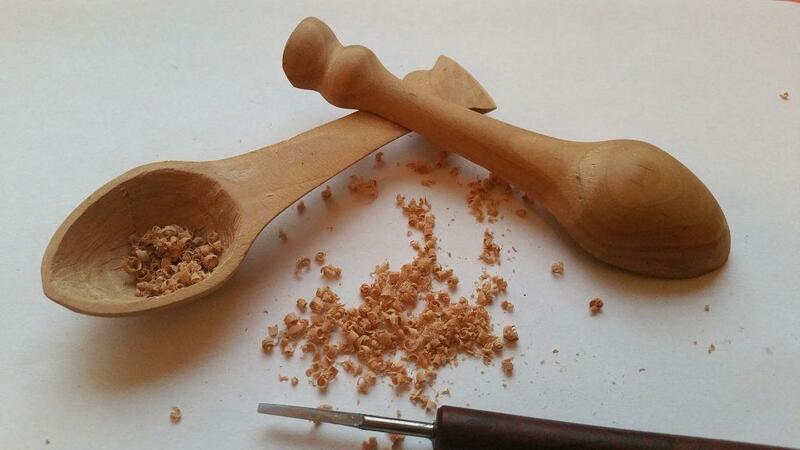 I decided to leave spoons on my desk until I have a carving chisel to hollow them out. But working get boring sometimes and I had this very sharp 2 mm straight chisel laying around so I started playing with it and in no time at all I hollowed out the spoons. Obviously, that is not the way to do that and I didn’t plan this, but it just happened this way. If you are planning a similar project, I strongly advise you to buy proper tools, secure your work and not to get your hands in a way of a sharp edge. Anyway, I sanded the inside surfaces to 600 grit sandpaper, because that is what I finished the outside with on the lathe. And this is the end product. Mind you, I could have sanded it better and using a proper carving gauge would’ve resulted in less deep grooves that did not want to sand away. Nothing to be proud of, but I am glad I did it. Except the paper trick, all the ideas and techniques I came up with by myself as I was working along. This was the third thing I’ve ever turned and it turned out quite well. I already know a couple of other projects I am going to turn on this lathe and one of them is going to involve hollowing out a form on a lathe. So look forward to that. Have you noticed that weird-looking, almost toy-like tool and the honey dipper in our header? It is related to one of the hobbies we want to tell you about. Woodturning is an extremely fun thing to do and you can create some remarkable pieces, even if you are not a very artistic person. However, many people say that they have no space, time, money or skills. 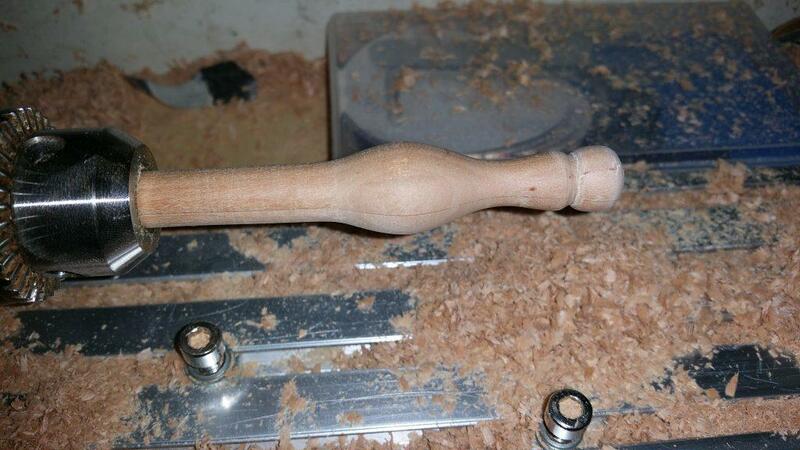 This article – and a video – will try to prove that woodturning is for everyone. The picture from our header – it IS possible to woodturn, even if you live in a city. The thing in the header is a CNC07 MINI LATHE. It is what it sounds like – a woodturning lathe so compact you can almost fit it in your back pocket. It is almost big enough to make an 8-centimetre bowl (it doesn’t have a chuck for that, though), yet it is so small you can fit it in your living room if you really want to. But, should you woodturn inside your house? Woodworking is becoming rare nowadays, because less and less young people see it as a hobby. And, as much as I hate sounding like an old man, it is a shame, because it is such a stress reliever. Now, I’m not a woodworker by any means, I have made two honey dippers so far, but I’ve watched countless videos on YouTube and I am sort of getting the feeling of what it is about. 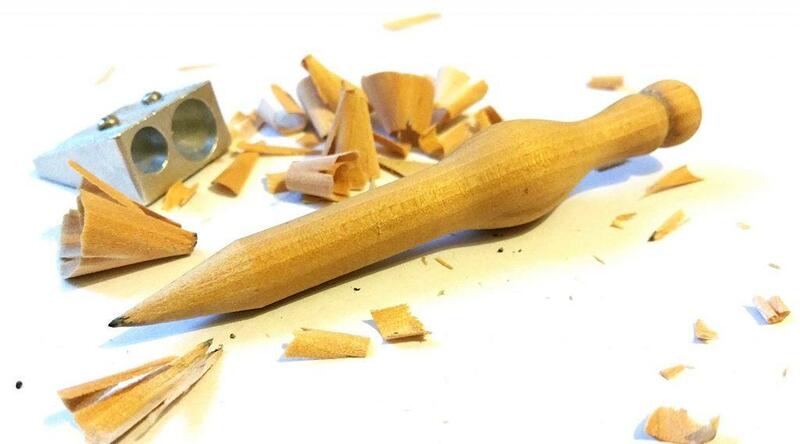 Cheap, light and sturdy enough – it will allow you to feel the satisfaction in woodturning. It is energizing and absolutely inspiring. 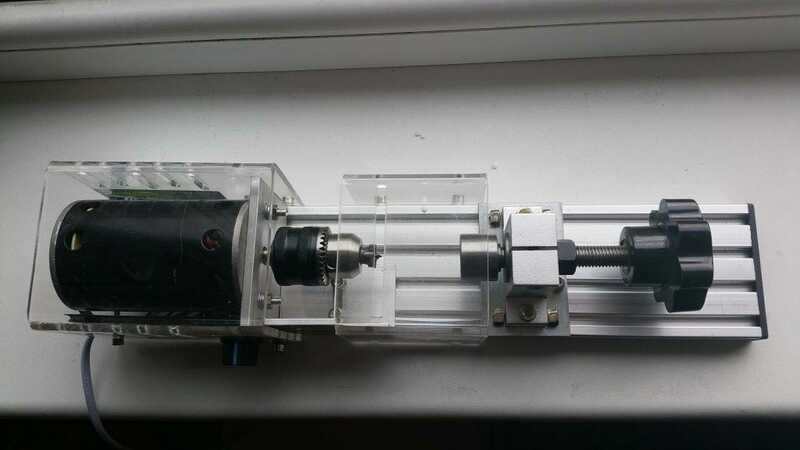 The second I have a piece of wood in front of me spinning at 2000 rpm, it is almost as if I can see a thing trapped inside of it and I must set it free from the surrounding material. And while I am doing so, discovering new shapes and what a simple gauge can do, I start imagining other things I can make using the techniques I am learning at the moment. Learning by doing it. Who knew this would feel so great? Sure, other kinds of woodworking are equally as satisfying, if not more – I don’t know. But you are not moving through these projects as smoothly. 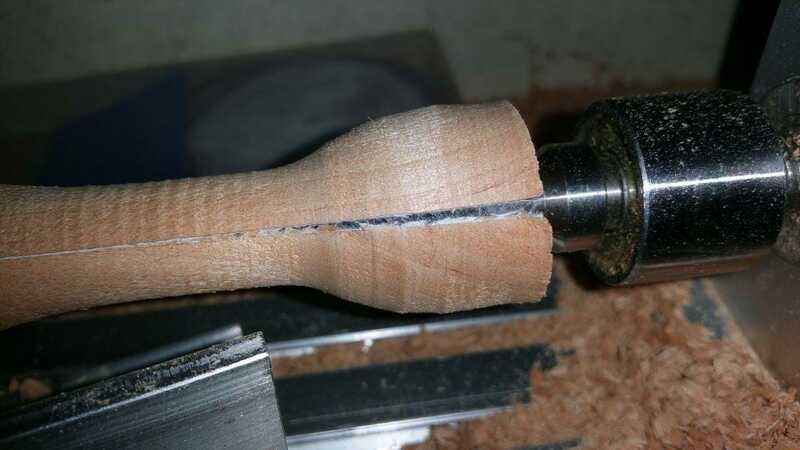 When woodturning, you can see a piece of wood morphing into your final project. As Jay Bates, a famous YouTube woodworker said, a lathe is the only tool that can make a project from the beginning to the end. It’s a quick win. Therefore, it is not a surprise many people want to have a go at it So, we’re back to the excuses. First of all, lack of skills. You really should not be afraid to try. In this horribly filmed and edited video you can see the second piece I’ve ever turned. My techniques are far from perfect, but I enjoyed every bit of it and it worked out the way I wanted it to. As long as you are taking it slowly, you will be fine. Just don’t compare yourself to people who have been doing this for ages. Lack of money? This particular lathe costs less than a hundred euros. 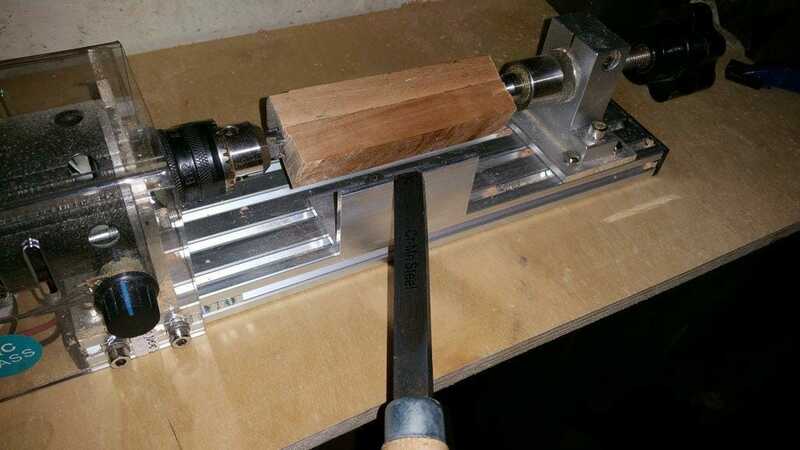 Sure, it’s not the best lathe in the world, but it is a good starting point. It has a 180 W power motor, which is not much, and spins from two to eight thousand rpm. You won’t be making anything big with it, but, to get the taste, it is perfect. No room? 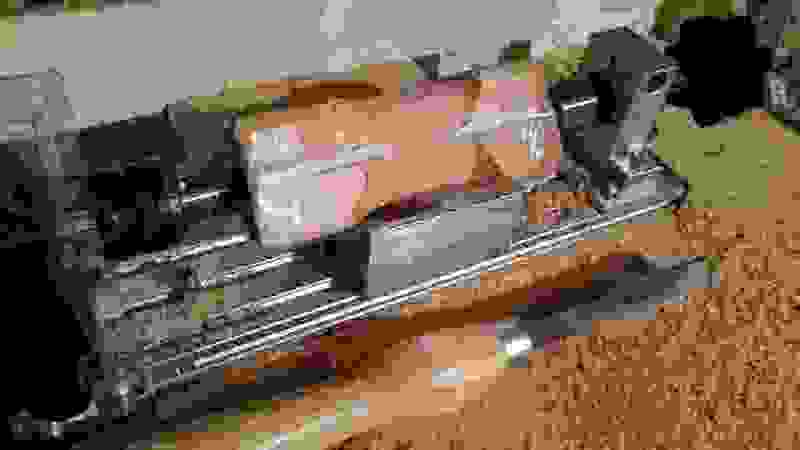 You can buy cheaper lathes if you search for a used one, but buying a mini lathe (not necessarily this in particular) is a cheap and compact option. You can woodturn on the window sill of your apartment, why wouldn’t you? 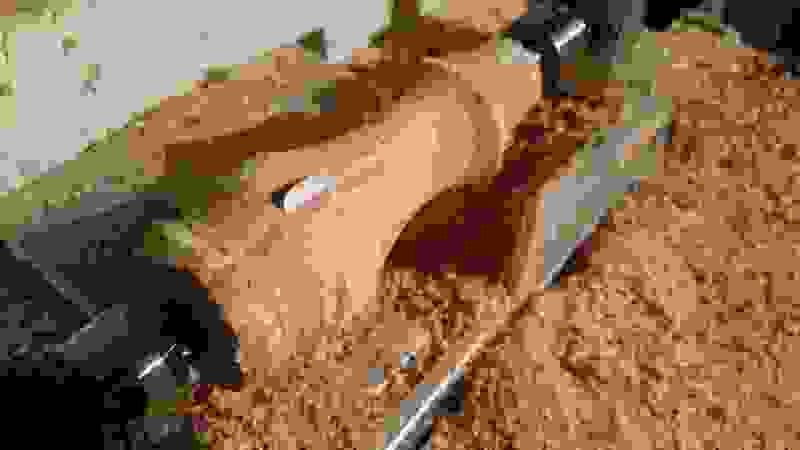 All dust settles around the lathe, so it is not too hard to vacuum after the work is finished, and the lathe really isn’t that loud so that your neighbours would complain. And time? You will find an hour somewhere to woodturn something small, if you really want to – it is a small quick win, consider it a therapy. 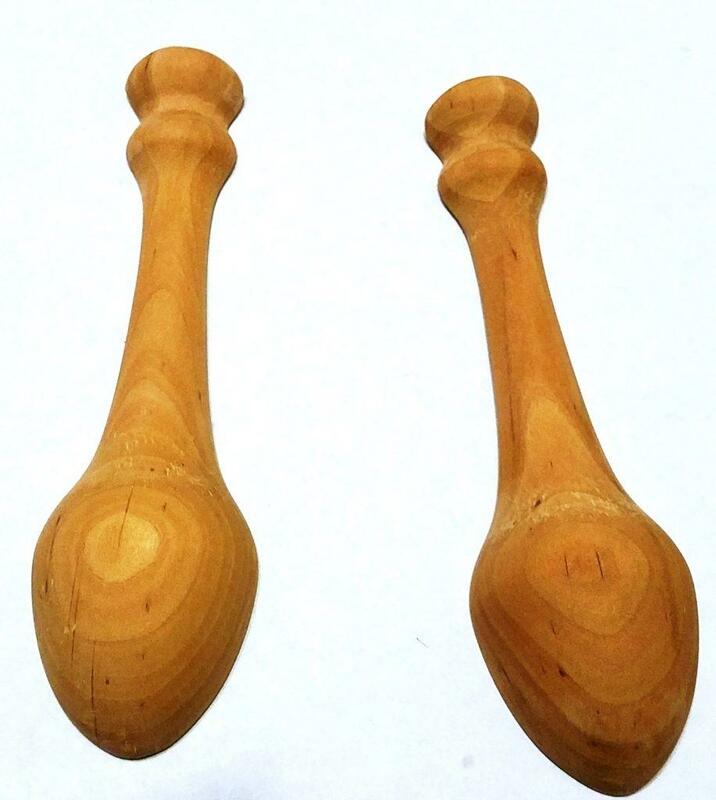 How was the honey dipper made? 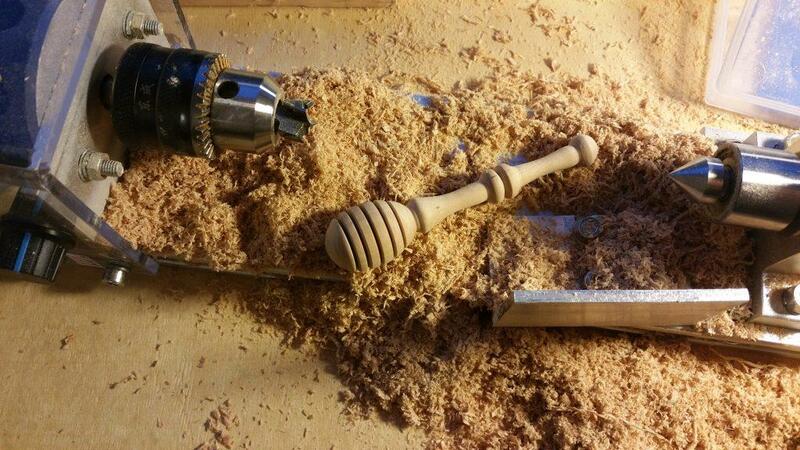 A honey dipper is the perfect first project on a lathe. 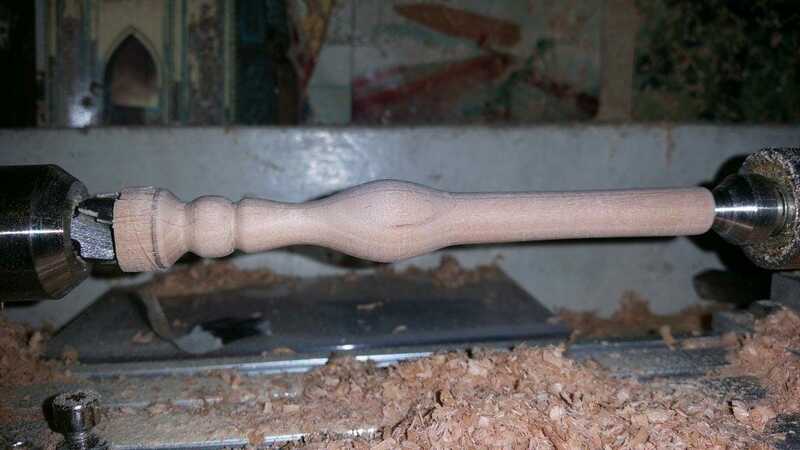 It is just basic spindle turning, but you can experiment with shapes and come up with your original designs as you go. You will learn how to make things thin, to shape the inside and outside curves, to make small details and much more. This one in particular was made from black alder, which is not a particularly hard wood – perfect for woodturning small pieces. 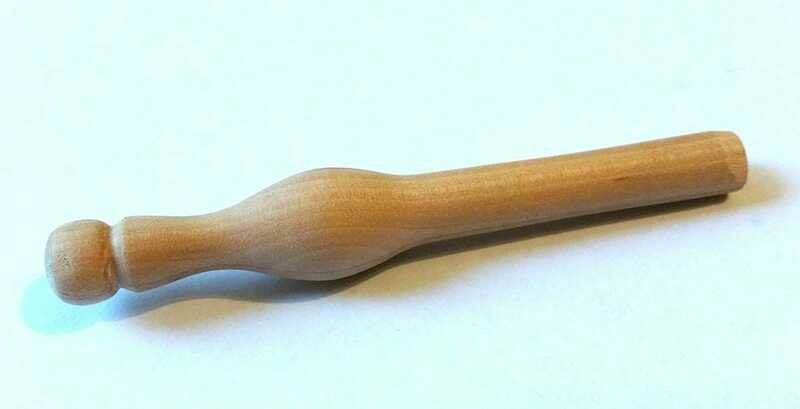 The second honey dipper is a bit more elegant. At first, a square section of 2.5 cm width and 10 cm length was cut using a handsaw. The piece was mounted in between centres – if you’re a beginner, you have to learn to mount the piece properly, so that it would not fly away. Hammer the drive bit into your piece pretty deeply and then squeeze it in using a tailstock. Then, after making sure everything is well and good, the lathe was turned on at the lowest speed (2000 rpm) and the piece was turned round. Then the head of the dipper was found and the handle shaped with a couple of beads in the middle. You should not turn the handle too thin before finishing the rest of the dipper. Then grooves were cut with a smaller chisel and the whole thing was sanded up to 600 grit. No finish required to keep it nice and food safe. Both pieces together – you can see how close all the sawdust settles. It is really easy to clean. It was a lot of fun. It took way longer than it should have, but I enjoyed my time spent turning. This lathe does not have a chuck for hollowing out forms, but I think I will try turning something more original next time. A small bowl? A little box with a lid? A pen? You will have to visit nodum.org more often to find out.